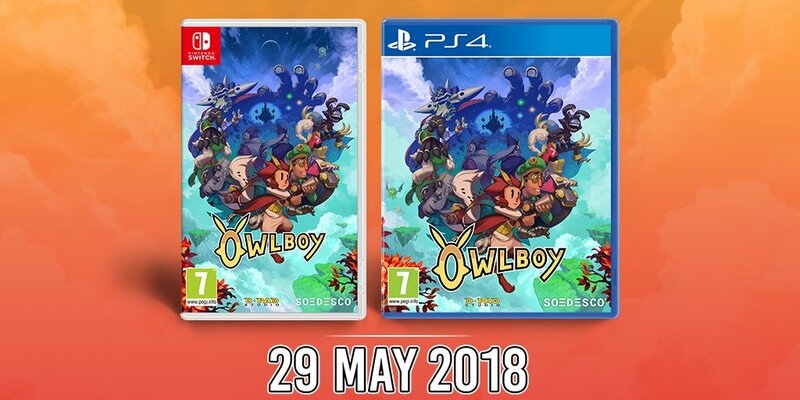 Owlboy is heading to the Nintendo Switch, PS4 and Xbox One this coming week (February 13), as a digital download BUT it was just announced that a physical version is now set for release! Scheduled for May 29, both in North America and Europe, being published by SODESCO. No details on pricing at the moment, but would keep you updated! If you’d prefer the digital version of Owlboy, that’s set for February 13. New footage of Owlboy being played on the Nintendo Switch can be found below.